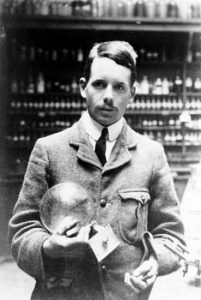 August 10 marks the passing of Henry Moseley. Moseley was the English physicist who gave meaning to the atomic number of an element. Before Moseley’s work, the atomic number was just a placeholder to signify an element’s position on the periodic table. The elements were arranged mostly by atomic weight and their chemical properties. Moseley’s work related the atomic number to the charge contained in the element’s nucleus. This presented a physical property to order the elements. Eventually, it would be found this charge was due to particles called protons. Today, we determine an element by the number of protons in its nucleus. Moseley began his physics career at an interesting time. His teacher, Ernest Rutherford had just confirmed the existence of the nucleus. Niels Bohr expanded this to show spectral lines of an element could be explained by transitions of energy levels of electrons. The father-son team of William and Lawrence Bragg were scattering electrons and producing x-rays. Moseley brought all three of these together. He flooded samples of multiple elements with x-rays and recorded the spectrum produced by the interactions between the x-rays and the element’s electrons. He calculated the wavelengths of the x-rays emitted by the irradiated samples using Bragg’s equations. He found the energy of the emitted x-rays depended on the charge of atom’s nucleus. This mathematical relationship between energy and charge is known as Moseley’s Law. He also used this information to predict the existence of element 43, technicium and element 61, promethium which were holes in the periodic table. When World War I broke out, Moseley left his research position to join the Army. He served as a Royal Engineer when the British invaded Turkey at Gallipoli. A Turkish sniper shot and killed him during the Battle of Gallipoli. He was only 27 years old. Some have speculated he would have received the 1916 Nobel Prize had he lived. Many believed he would have ended up making significant contributions to physics. Enough people felt this way that the British government changed the rules of enlistment. Promising or prominent young scientists would be exempt from serving in combat duty. NASA’s Magellan spacecraft arrived at the planet Venus to begin an 8-month mapping mission. 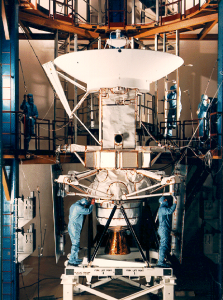 Magellan used radar to gather data to create a greater resolution map of the surface than the previous Soviet missions to Venus. The probe also mapped out the surface gravity variations to get a better understanding of the planet’s interior composition. The initial run of mapping gathered data covering nearly 85% of the planet’s surface. NASA extended the mission two more times and eventually covered 98% of Venus’ surface with a resolution of approximately 100 meters. 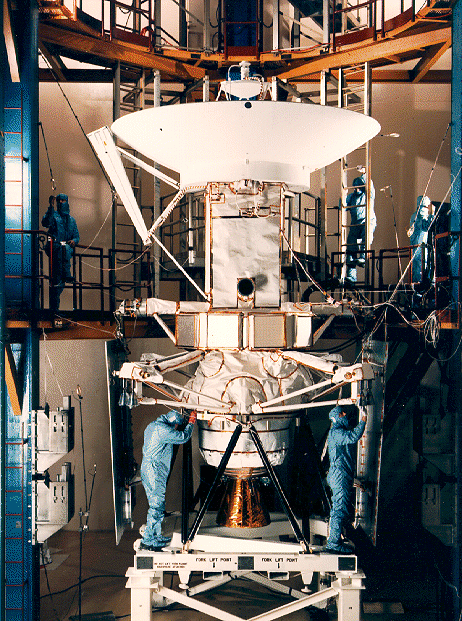 This mission was the fifth US mission to Venus and ended an 11-year gap in U.S. interplanetary missions. 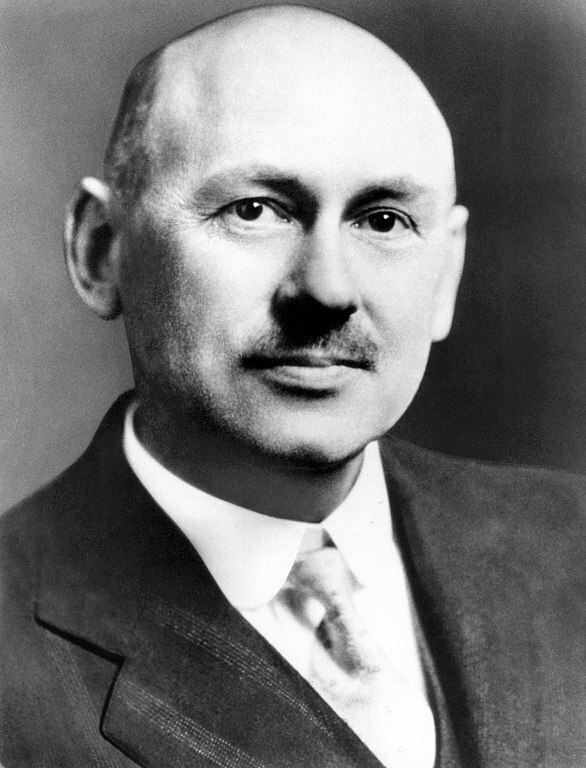 1945 – Robert Hutchings Goddard died. Goddard was an American physicist who was a pioneer of rocketry. He designed and launched the world’s first liquid fueled rocket in 1926. He and his team continuously added innovation to his designs, launching 34 rockets over the next fifteen years. His rockets reached altitudes as high as 1.6 miles (2.6 km) and reached speeds of 550 miles per hour (885 km/hr). He patented several devices to control his rockets in flight including gyroscopes and steerable thrust. He was frequently ridiculed for his theories and claims during his lifetime, but his accomplishments would earn him the distinction of the Father of Modern Rocketry and the Space Age. 1915 – Henry Gwyn Jeffreys Moseley died. 1913 – Wolfgang Paul was born. Paul was a German physicist who shares half the 1989 Nobel Prize in Physics with Hans G. Dehmelt for their development of the ion trap. The ion trap is a device that uses electric and magnetic fields to capture ions in a vacuum. Pual developed an ion trap that uses radio frequency electric fields using a quadrupole arrangement to capture ions. 1902 – Arne Wilhelm Kaurin Tiselius was born. 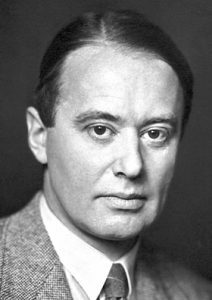 Tiselius was a Swedish biochemist who was awarded the 1948 Nobel Prize in Chemistry for his study on the separation of colloids or proteins through electrophoresis. Electrophoresis is a device to separate and measure charged particles through a stationary liquid in an electric field. He was also first to develop synthetic blood plasma. 1895 – Felix Hoppe-Seyler died. 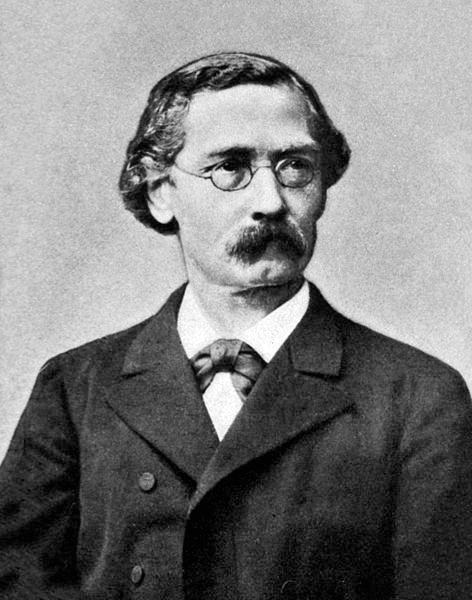 Hoppe-Seyler was a German chemist who was a pioneer of biochemistry and molecular biology. He investigated fluids of the body such as blood, hemoglobin, pus, bile, milk, and urine. He was the first to crystallize hemoglobin and observe its absorption spectrum. 1856 – William Willett was born. Willett was a British home builder who invented Daylight Savings Time as it is used today. He arrived at the idea for changing clocks for the summer months when he was out for an early morning ride on a summer day and noticed several houses still had blinds down. While the idea for Daylight Savings Time had been proposed before by others, Willett continuously campaigned the British government to pass it into law.